NEW YORK, January 23, 2019 – AmTrust Financial Services, Inc. (“AmTrust” or the “Company”) today announced the Company has signed an agreement with PCMI Corporation (Policy Claim Management International), the leading provider of integrated software solutions for the administration of F&I Products, Service Contracts, and Extended Warranties. 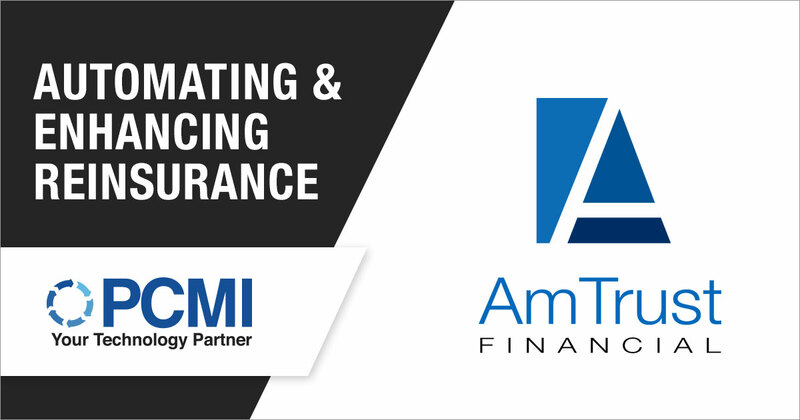 Through the agreement, AmTrust will implement PCMI’s Policy Claim and Reporting Solutions™ (PCRS) – Reinsurance Module, which will provide AmTrust clients with an easy to use, robust reporting solution for their reinsurance businesses. “Dealers today expect to have immediate and transparent access to key financial data from their providers. Amtrust’s adoption of our PCRS platform highlights their commitment to supporting dealers. PCRS allows dealers to monitor their portfolios and track key performance information to maximize their profitability. We look forward to our relationship with Amtrust,” said Mark Nagelvoort, President & CEO of PCMI Corporation. To find out more information about AmTrust’s automotive products and programs, please visit https://amtrustfinancial.com/warranty/automotive-warranty. PCMI Corporation offers a modular package of software solutions for the administration of F&I Products, Service Contracts, and Extended Warranties. Our SaaS platform, Policy Claim and Reporting Solutions™ (PCRS), supports and automates the full lifecycle of all aftermarket products. Our advanced knowledge of the industry allows us to provide the fastest and most flexible environment for administrators, insurers, OEM’s, agents, and dealers to launch new products. A global presence in the U.S., Europe, and Asia, enables continuous around-the-clock innovation. For more information about PCMI visit www.pcmicorp.com. This news release contains certain forward-looking statements that are intended to be covered by the safe harbors created by the Private Securities Litigation Reform Act of 1995. When we use words such as “anticipate,” “intend,” “plan,” “believe,” “estimate,” “expect,” or similar expressions, we do so to identify forward-looking statements. Examples of forward-looking statements include the plans and objectives of management for future operations, including those relating to future growth of our business activities and availability of funds, and estimates of the impact of material weaknesses in our internal control over financial reporting, and are based on current expectations that involve assumptions that are difficult or impossible to predict accurately and many of which are beyond our control. Actual results may differ materially from those expressed or implied in these statements as a result of significant risks and uncertainties, including, but not limited to, the ability to recognize the benefits of the merger, non-receipt of expected payments from insureds or reinsurers, changes in interest rates, a further downgrade in the financial strength ratings of our insurance subsidiaries, changes in tax laws, the effect of the performance of financial markets on our investment portfolio, development of claims and the effect on loss reserves, accuracy in projecting loss reserves, the cost and availability of reinsurance coverage, the effects of emerging claim and coverage issues, changes in the demand for our products, our degree of success in integrating acquired businesses, the effect of general economic conditions, state and federal legislation, regulations and regulatory investigations into industry practices, our ability to timely and effectively remediate the material weakness in our internal control over financial reporting and implement effective internal control over financial reporting and disclosure controls and procedures in the future, risks associated with conducting business outside the United States, the impact of Brexit, developments relating to existing agreements, disruptions to our business relationships with Maiden Holdings, Ltd. or National General Holdings Corp., breaches in data security or other disruptions with our technology, any inability to keep pace with technological advances, heightened competition, changes in pricing environments, changes in asset valuations and the results of legal proceedings, including litigation relating to the merger. Additional information about these risks and uncertainties, as well as others that may cause actual results to differ materially from those projected, is contained in our filings with the SEC, including our Annual Report on Form 10-K and our quarterly reports on Form 10-Q. The projections and statements in this news release speak only as of the date of this news release and we undertake no obligation to update or revise any forward-looking statement, whether as a result of new information, future developments or otherwise, except as may be required by law.